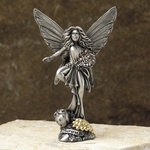 Shop Pewter Fairy Figurines - Made in the USA! 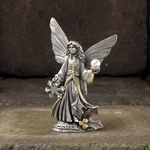 All of our pewter fairy collectibles are handcrafted by the finest artists in the field. 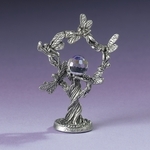 Most of them are delicately accented in gold or genuine crystals. 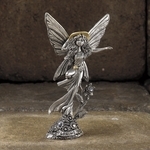 These pewter fairies are made in the United States, and are sure to bring joy to any friends of the fae!